What I want to note here is that interventions that focus on consumer behaviour after food is purchased accounts for the least amount of food waste– note that sales promotions is cited as the step that leads to post-consumer waste. This isn’t to say that consumer food waste is absent, but that ignoring the market-driven infrastructure that characterizes our food system is going to miss most of the food waste out there. Food waste is not what happens in an instance, over and over again, but the result of an entire system, and discard scholars and advocates of less food waste need to look to the overall economic system that drives our food system to find the best points of leverage and intervention to avoid technological fixes for systemic problems. 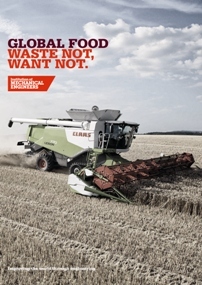 This entry was posted in Consumption, Food, Waste, World and tagged food system, food waste, waste, waste statistics. Bookmark the permalink.